Nicely decorated interior at Everest Restaurant. 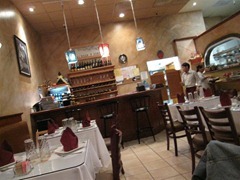 We recently had an enjoyable dinner at Everest Restaurant. 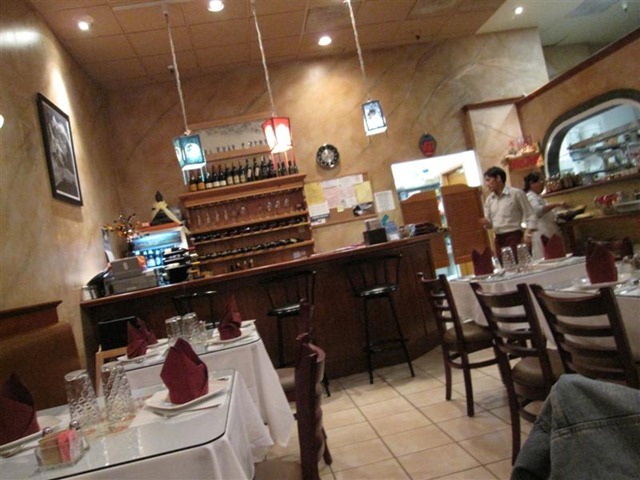 The restaurant is nicely decorated with a decorative paint treatment. It’s located in the Golden Eagle Shopping Center, which makes parking easy. We started with the free appetizer they offered us – papadum with a delicious green dipping sauce. Ian had a mango lassi which was very thick with fresh fruit ( $3.50US). We shared artichoke pakora which were excellent – deep fried with a light, crispy batter ($5US). 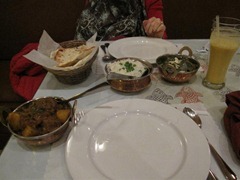 The potato naan was light, but plain and unspectacular. For the main course, Ian had the Tibetan Lamb Curry ($14) which he enjoyed, even though the portion was a little small. It was served with noodles and potatoes. The lamb was tender and moderately spicy. 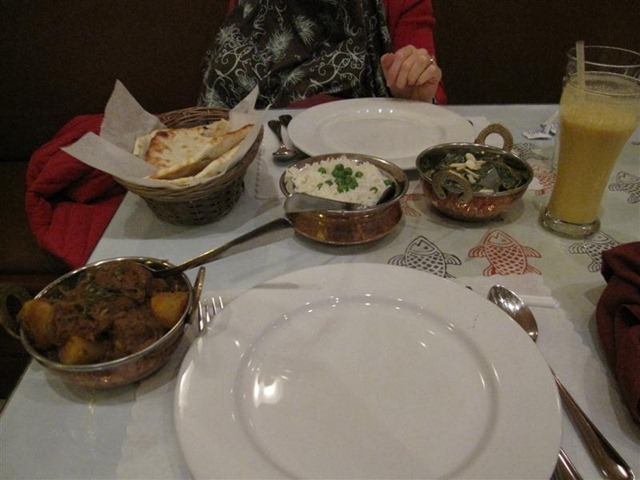 Wendy had the saag paneer – which is is a spinach and mustard leaf based curry dish with a type of cheese. It wasn’t bad, but it wasn’t particularly tasty either. Dinner is served at Everest Restaurant. The service was fabulous. We had our infant daughter with us and the staff went out of their way to play with her. They brought water for her in a take-out coffee cup with lid (make-shift “sippy cup”) without even being asked. They were attentive and happy to explain the menu.